Dr. Eugene Morita graduated the medical school from the Jefferson Medical College and did his internship at the University of Pennsylvania. He also completed two residency program at the Letterman Army Medical Center. Dr. Morita is specialized in radiology and board certified in nuclear medicine and internal medicine. 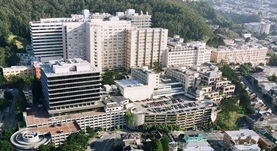 He has been in practice for more than 20 years and is affiliated with the UCSF Medical Center. During his career, he has also contributed to several publications of medical interest. Dr. Eugene Morita has contributed to 3 publications. In-transit intramammary sentinel lymph nodes from malignant melanoma of the trunk. Lyo, V., Jaigirdar, A.A., Thummala, S., Morita, E.T., Treseler, P.A., Kashani-Sabet, M., Leong, S.L. ; Ann Surg. 2012 Jan.
Clinical significance of occult metastatic melanoma in sentinel lymph nodes and other high-risk factors based on long-term follow-up. ; World J Surg. 2005 Jun. Heterogeneous patterns of lymphatic drainage to sentinel lymph nodes by primary melanoma from different anatomic sites. Hillyard, D.R., Wittwer, C.T., Page, S.R. ; Clin Nucl Med. 2005 Mar.